Brian Epstein was a manager best known for discovering and managing the Beatles. The Beatles’ early success has been attributed to Epstein’s management style, and the band trusted him without hesitation. In addition to handling the Beatles’ business affairs, Epstein often stepped in to mediate personal disputes within the group. The Beatles’ unquestioning loyalty to Epstein later proved detrimental, as the band rarely read contracts before signing them. Epstein’s homosexuality was not publicly known until some years after his death, although it had been an open secret among his friends and business associates. 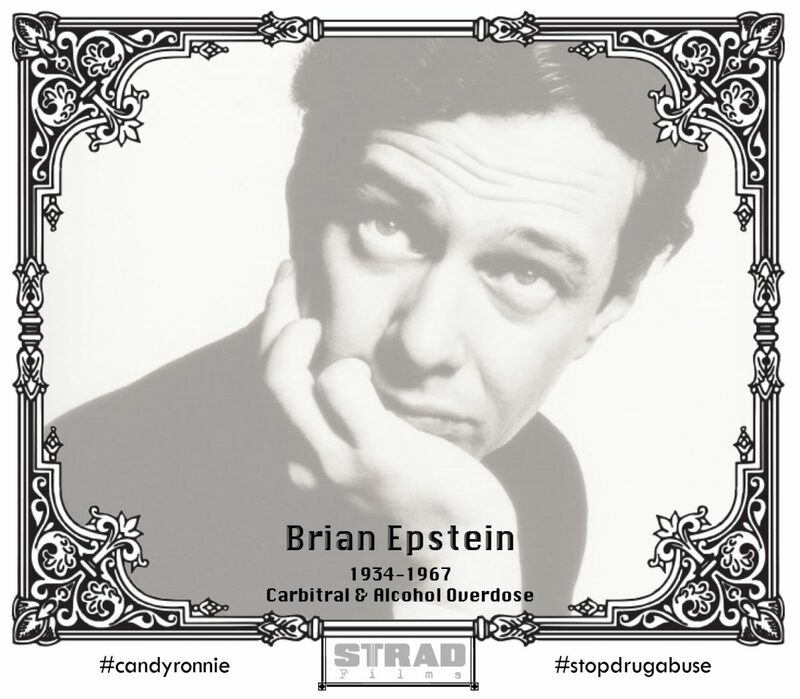 Epstein spent a year studying acting at RADA, but dropped out shortly after his arrest for “persistent importuning” outside a men’s public toilet in Swiss Cottage, London; cottaging, as it was called, was one of the few public places gay and bisexual men could meet at the time, especially if they were closeted. Throughout Epstein’s life he was known to be kind and caring to his family, friends of his family, and business colleagues. Epstein died of an overdose of Carbitral, a form of barbiturate or sleeping pill, in his locked bedroom, on 27 August 1967.